This semester I decided to really immerse myself in the study of food. I have enjoyed taking two food related courses side-by-side and learning a lot from our readings and the words of my fellow students. I’m taking the Philosophy of Food and the Anthropology of Food courses, and surprisingly, they’re not the same thing! In these classes, we have been learning how to examine the food patterns of our culture. We have been considering all the complex processes involved with food production and consumption. We have had constant debates about the ethics of the food we eat, and the food we choose to purchase. Overwhelmingly, the resources I have been exposed to have convinced me that a plant-based lifestyle may be the only logical choice for me, considering my moral framework. Over the course of the semester I have played around with my food choices, seeing if eating a plant-based lifestyle is even possible for me (a professed beef-lover). I am by no means a “strict” or “harsh” or “radical” vegetarian/vegan… I struggle daily with even THINKING about giving up cheese and eggs from my diet. When I heard about a Raising Cane’s opening in Denton, I was so happy and then so sad. The point is, I am FAR from truly changing my diet. However, this information I have learned has truly changed the way I view our food system and the choices I make as an eater. I was so blind to these incredibly important issues, and now my eyes have been opened. I’ve received countless questions from friends and family about what I’m learning, why I’m making these changes, etc. etc. etc. so here is a post for all of you curious folk out there, laying out the information I have learned from! This is NOT a post describing my rationale for a change in lifestyle. This is not me trying to change anybody’s mind or force my thinking on anyone else. I hope that this post can simply serve as a starting point for anyone curious about the complexities of our industrial food system. I hope that you can go from here into doing your own research. I hope you come out of this learning something new. It’s incredibly important to me to share this information, because I was so ignorant of it myself. If I didn’t know what was really going on, surely not many other people do either! Admittedly, the resources I am recommending below all tend to point in the same direction– toward a vegan lifestyle. This may be a product of the biases of my professors who structured the courses, or it may be a product of what is currently being produced academically about our food system. There is so much pertinent information to be gained from these films/books/articles that holds true no matter where your eating habits lie. Without any further disclaimers to add, I present to you a list of resources about our food system that I have found unbelievably enlightening this semester! This documentary is incredible. After half a semester of cynicism surrounding our course materials, this was the first thing that really encouraged me to change my lifestyle. If you watch/read any of my suggestions, please watch this one. 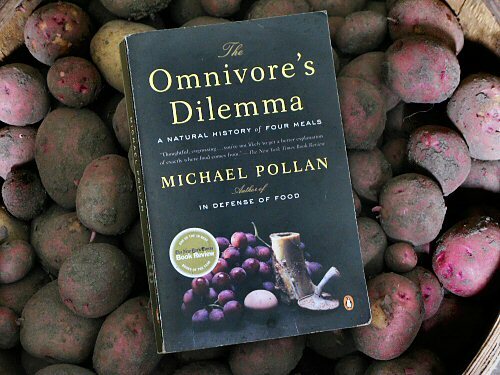 This is an incredibly readable and accessible book that helps the average consumer understand where our food comes from. I really enjoy Pollan’s writing style, and his “food rules” are what I already live by on my own. This is a big, fat, “duh.” But still. If you haven’t watched this documentary, please do. If you’re cynical about the horror story that is our industrial food system, you won’t be for long after learning this information. This is not a book for the faint-hearted. 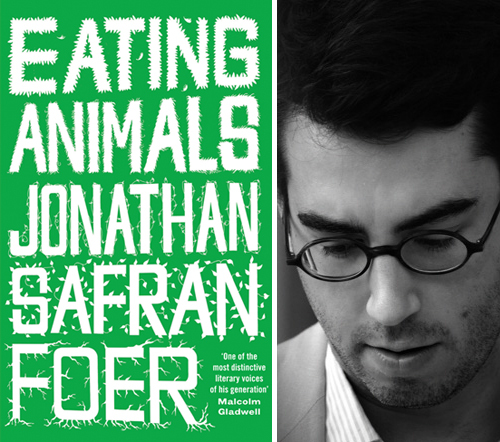 If you’re new to delving into our food system, Foer’s harsh writing style may put you off. But if you’re already aware of some of the major problems, you’ll be able to understand where he’s coming from. This book is readable and includes some really interesting anecdotal evidence from different players in the food system. This is a rather off-beat documentary that exposes some of our worst fears about food waste. I was definitely not interested in the concept at the beginning (dumpster diving is EW) but by the end of the film I had learned a lot of really important information about the way our supermarkets work. This is just a beginner’s guide to learning about our food system. If you’re interested in this topic, PLEASE check out some of the links above. I promise you’ll learn a lot. In these classes we have also studied the complexities associated with Soul Food, punk cuisine, television food media, food advertising, gender and LGBT issues associated with food, and so much more. I have only provided you with a brief snapshot of some of what we’re learning, but I hope it will prove to be helpful. If you’re not interested in a plant-based lifestyle, you’ll definitely learn a ton of information that might help influence the choices you make with your dollars. However, if you’re considering going vegan/vegetarian for any reason (health, morality, environmental)…. these resources are a surefire way to convince you! Thanks for stopping by this little corner of my thoughts!